What style options are available for the HR-V? 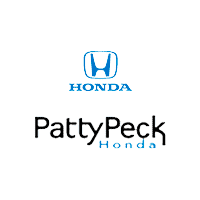 The ALL NEW 2012 Honda CR-V arrived at Patty Peck Honda just last month, and it’s getting a lot of attention. With its bold new look, it is just the right size for those with a little adventure in their heart. The redesigned grille and front bumper give the CR-V a stylish new appearance. New to the Civic lineup, the new 2012 Honda Civic HF takes fuel efficiency to a higher level. The new Civic HF has the same smooth, mpg-enhancing shape as all Civics, but takes it even further. The 2012 Civic EX-L Sedan has a significant upgrade that you’ll love to know more about. This 9th generation Civic is an all new model and everything has been advanced and redesigned. 2011 Honda Odyssey, 4th generation compared to the 2010 Honda Odyssey. Art St. Cyr, Cheif Engineer has improved on a best seller. 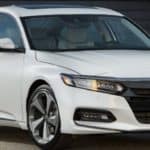 Honda just released this Video Press Conference on the 2011 Honda Odyssey with Art St. Cyr, Chief Engineer at the Honda R&D Center.